No one does fancy like Nancy! Nancy loves to be fancy in everything including her outfits. Now you can turn the ordinary into the extraordinary with the My Friend Fancy doll in her signature outfit from the show. Fancy Nancy is ready for a day of fancy play. 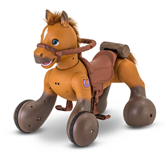 With her fully poseable arms and legs, Nancy is ready for any adventure your imagination creates! 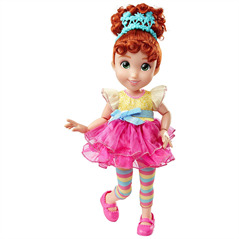 Fancy Nancy fans will love the new 18 inch My Friend Fancy Nancy Doll!" Read the books together, co-watch the Disney Junior Fancy Nancy show, and role play with Fancy Nancy. This doll from Jakks helps bring the Fancy Nancy experience to life.